The WWE boss seen backstage with Styles and Rollins. Mick Foley once famously said that to be pushed by Vince McMahon, the boss needs to be a fan of yours. It definitely holds true in Foley's experience, because he didn't have the prototype look of a lot of the top stars of the Attitude Era. However, Foley had a very different factor about him that helped him captive not only the fans' hearts but McMahon's as well. He was a prominent star during the Attitude Era, and through the years, there have been many superstars who have tried to win over the boss but have failed. However, it was and still is, the very cream of the crop that manages to capture McMahon's attention and fandom. Sure, there are superstars who he becomes a fan of by taking one glimpse, but the truth is that many have had to really earn his respect. When it's all said and done, that's what truly separates the good from the great. Here are a few superstars who Vince McMahon is a fan of, and a few who he isn't. This one seems like a no-brainer in many ways, because Tyler Breeze felt like he was doomed from day one on the main roster. His gimmick alone felt like a handicap despite the fact that he had proven in NXT that he truly belonged at a higher level. While some fans expected him to have midcard success, they soon learned of the harsh differences between NXT and the main roster. Despite entertaining fans with the Fashion Police gimmick, Breeze hasn't really had anything going for him creatively. 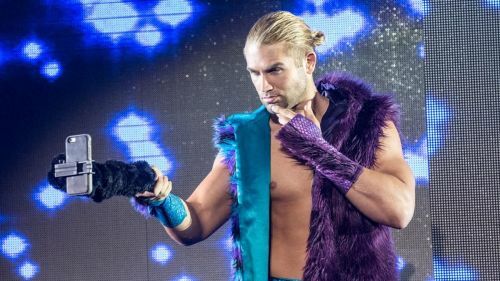 While some argue that the Fashion Police should have won the SmackDown Tag Team titles while they were hot, Fandango's injury ensured that Tyler Breeze would no longer be featured on television.